Stop surviving and start THRIVING! Ready to prioritize your health so you can feel better and get more done? Want to boost your energy, feel less exhausted, and take better care of your body and your mind? Wish you could set realistic goals for self-care that you can actually follow through with? I believe you can — and I want to help! Buy Now for ONLY $15! Hi! 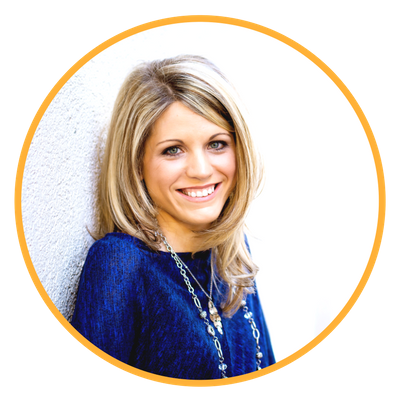 I’m Crystal Paine, founder of MoneySavingMom.com, bestselling author of Say Goodbye to Survival Mode, and creator of the popular course, Make Over Your Mornings. 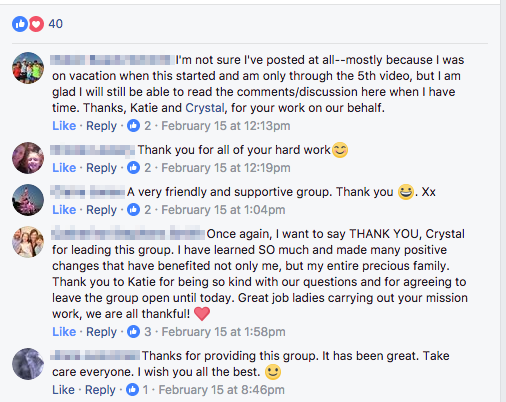 As a wife, mom, and business owner, I understand you can become overwhelmed with day-to-day commitments and responsibilities. I get how easy it is to put yourself at the bottom of your to-do list, most of the time only to be forgotten. Setting life-changing goals is hard enough. Meeting them doesn’t have to be! I have a passion to help women all around the globe stop living stuck in survival mode. You don’t have to go through life just barely making it through each day. I want to teach you how to thrive! Start living a stronger, healthier, more joy-filled life. Embrace life more fully, find courage to take more risks, and discover amazing gifts that you didn’t know you already have. Love your life more enthusiastically—without reservation or fear! Live more generously and serve others more wholeheartedly because you are filled to overflowing! I believe you can live like this, and I want to help you make this a reality! In this 15-day course, I walk you through the strategies that have proven to be effective in my own life when it comes to creating healthier life choices and maintaining balanced priorities. I share ways to make your effort more effective so you can maximize the benefits of taking care of you. With daily lessons, including in-depth videos, I expound on the most valuable resources I’ve used in my own daily life that have helped me continue achieve my goals. My goal through this course is to give you the support, encouragement, and strategies you need to help you make your health goals a reality. I know how easy it is to wish you felt better so you can do more and live a more fulfilling life. I created 15 Days to a Healthier You to help you go from surviving to thriving — in only 15 days! You’ll get immediate access to the 15 Days to a Healthier You course and study guide! The daily lessons are rich in real, proven strategies. Daily videos in each lesson will encourage you through each lesson. Your daily projects will help you meet your goals! 15 daily videos lessons — one for each day of the course. Daily projects to help you on your own journey to live a healthier life. Some of my favorite recommended resources (links, books, podcasts) to go along with each day’s lesson. BONUS access to the 15 Days to a Healthier You Facebook group! 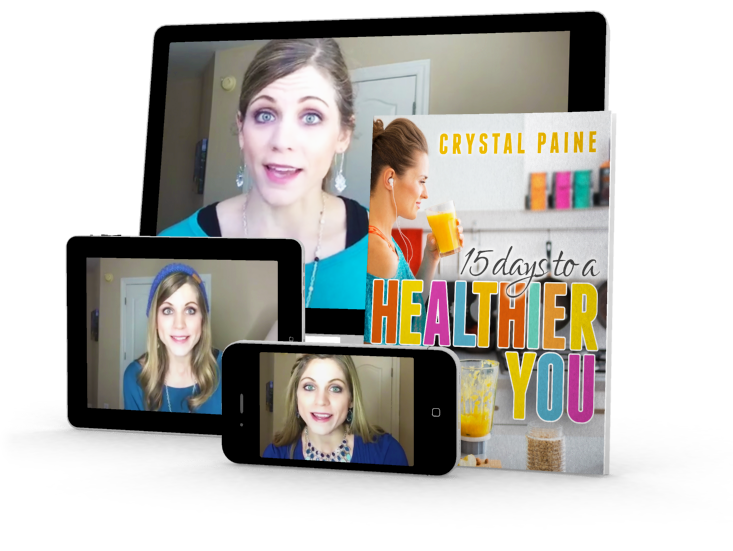 BONUS access to the original 15 Days to a Healthier You video series! The course videos and materials can be accessed via any desktop computer, laptop computer, smartphone, or mobile device. You can choose to print the workbook or download it to your computer or phone. This course is self-paced and you have lifetime access to all course downloads. You can begin it at any time and go at your own pace! — and there’s more to you, too! What if you could wake up every morning excited for the day ahead? What if you could not only develop an exercise routine that you can stick with, but one you actually LOVE? What if you could have more energy to do the things you’ve been missing out on for SO long? As someone who gets what it’s like to feel exhausted and overwhelmed, I want to come alongside you to teach you the strategies I’ve learned to help you prioritize yourself, nurture your body and your heart, and enjoy each and every day. I want to share my own journey with you so you can see exactly what it looks like to break free from feeling burned out and worn down so you can live a healthier, more vibrant life. I want to be the voice cheering you on, giving you the encouragement you need to succeed! Check out our daily lesson topics before you buy! Yay!!! I’m so glad you are bringing back 15 Days to a Healthier You! Last year, I had just received some really tough news. After experiencing my 3rd heart attack, I learned that I had a rare heart condition. Needless to say I was facing a big struggle both physically and mentally. I signed up for your 15 Days to a Healthier You right after hearing my diagnosis. The material, videos and community were so positive it allowed me to take that first pivotal step forward to face the giant task of healing emotionally and mentally! I thought I was already pretty healthy, and healthy-minded. I exercize 4-5 times a week, drink water, eat well, sleep well, have good relationships, etc. But I have taken on board a few of her suggestions, and since watching this series in January, I have been a new and improved woman! At the time, even my husband told me I was looking exceptionally hot lately! Result! I started drinking a gallon of water a day, I am mindful of keeping my calendar clutter-free, and so mindful of “me” time, and although she didn’t really touch upon reading the bible every day, I have started doing that, but I do believe it came to mind for me from her morning/evening routine discussion. This series was like a personal coach; what a great way to start each day. Purchase with confidence! Our courses are backed by a 7-day tuition-back guarantee. If you enroll and decide this course isn’t right for you, let us know within 7 days and you’ll receive a full refund. No questions asked!